At Champion Pediatric Therapy, we take great pride in presenting our specialized feeding program. Our clinic was designed with attention to detail for our feeding program. This sets the platform for us to offer the ultimate feeding therapy experience in the most effective therapeutic model. Our feeding sessions are interactive, fun, messy and jam packed with a whole lot of sensory play! Our expert Feeding Therapy program at Champion Pediatric Therapy is trained in and utilizes the Sequential Oral Sensory (SOS) Approach to Feeding. The SOS Approach to Feeding is a highly effective way to address problematic feeding behaviors and “picky eating”. The SOS Approach evaluates the "whole child" - organ systems, muscles, development, sensory processing, oral motor skills, learning, behavior, cognition, nutrition and the environment. 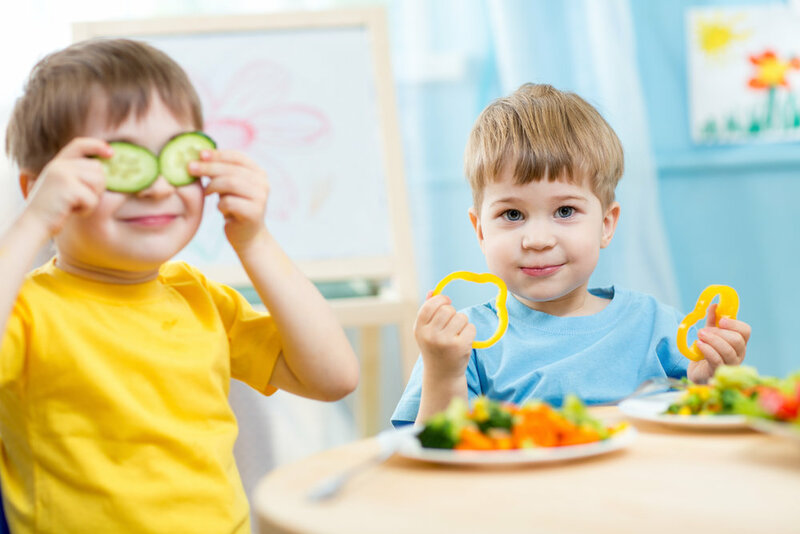 The SOS Approach to feeding is a fun and engaging method that enables children to become comfortable with foods by exploring food properties in a playful and non-stressful way in a group setting with peers. Parents will participate in the feeding session by observing the session through a two-way mirror via our Caregiver Observation Room, while receiving education by one of our team members. This encourages successful carryover of therapeutic techniques in the home environment. Our feeding program also places a large emphasis on parent education. In addition to our Sensory Approach to Feeding, each of our Feeding Therapists are also trained and practice an Oral Motor Approach to feeding. Oral Motor skills are essential mouth skills which allow us to bite, chew, move our food, close our lips and so much more. Many of these skills we don’t have to think about, however for a child with oral motor skill deficits, eating can be very challenging without these skills. Our Oral Motor Approach to Feeding has helped many children become successful eaters, drinkers and even speakers!